Sky Arts Portrait Artist of the Year was back with a splash tonight, with the first episode airing on Sky Arts. The first round saw a group of talented artists painting football legend Sol Campbell, Game of Thrones actress Maisie Williams, and broadcaster John Humphrys. After some tricky deliberation the judges crowned Raoof Haghighi the winner of the first London heat - a huge congratulations to him! He's one step closer to the big final, where the winner will receive a £10,000 commission and a year’s supply of art materials from Cass Art. We caught up with Raoof to talk paint and portraiture in the lead up to the big day. Congratulations on winning your heat! But how did you get to the first round of the Sky Arts Portrait Award? A friend of mine suggested applying for Sky Arts Portrait award and I did. The entry process was quite easy; I submitted a self-portrait using a combination of deep pen and acrylic medium on paper. Later on I had a phone call, which told me I'd been shortlisted for the programme. What was the atmosphere like during the first heat? The London heat was hosted in the Wallace Collection which is a museum in London. The atmosphere was really vibrant and exciting. 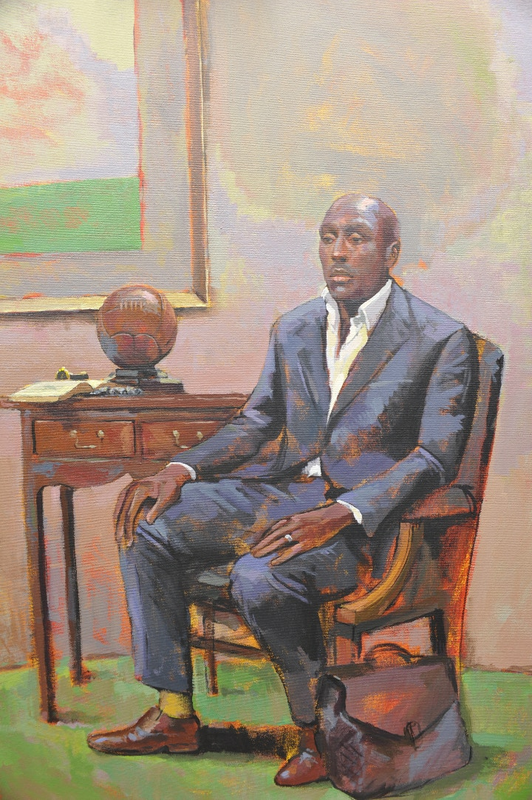 Our group was presented with Sol Campbell, the Arsenal Defender, as our sitter. To be honest, the situation put me out of my comfort zone to begin with. There was a high amount of pressure on every single one of us to paint the best portrait we could in just four hours. But as soon as I start painting the pressure lifted. 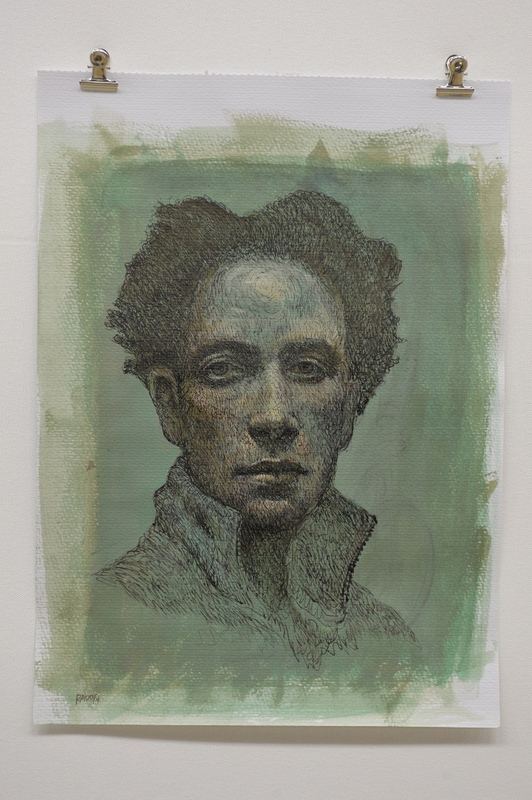 Can you describe your practice to us – do you always paint portraits? I am very disciplined and I have dedicated my entire life to art. I work hard and sweat it out in silence. Usually I paint portraits and people but I don’t limit myself to those subjects. I follow my feelings; I paint anything that satisfies my inner-self. Can you tell us what your favourite art materials are and why? I work with all sorts of mediums; oil, acrylic, watercolour, pen, ink and pastel. But my favourite medium of all time is oil paint, and I use Winsor & Newton and Old Holland. Using oil paint gives me the ability to manoeuvre on the canvas as freely as I wish. Were you pleased with your portrait at the end of the heat? Four hours painting, with lots of distractions... I guess you could say I was happy, but I always feel I could have done better. Check out some highlights with our Q&A with the judges and painters at our Islington Flagship. Stock up on your own painting supplies here to perfect your own portraiture. We stock the Old Holland paint that Raoof mentioned in our Islington Flagship. Visit Raoof Haghighi's website here to get a closer look at his paintings.